Dr How graduated from Singapore in 1991. After that, he went on to specialize in Orthodontics in London in 1993. He is also well qualified and possesses a number of postgraduate qualifications in Oral Surgery, Implantology, Laser and Aesthetic Dentistry. For instance, He is also a Consultant and Founding member of the International Association of Orthodontists and Implantologists (IAOI). Major role in Straumann Implant & Osstem implant system. Significantly, he is the Key Opinion Leader for Straumann Implant in Malaysia as well as the Course Director for the Osstem implant system. He is also the Course Director for IBS Implant System and has conducted a number of implant courses such as in Malaysia, Cambodia, Vietnam. Dr How is also well known in Orthodontics, including Invisalign orthodontic treatment. He has been appointed as International Advisor for the West African Journal of Orthodontics as well as Editor in Dental Asia Journal. Active in promoting the arts and science of Dentistry. Particularly, Dr How is very active in promoting the arts and science of Dentistry through association works. So, he is currently the Councillor for the FDI World Dental Federation. He is also the Chief Editor for the Asia Pacific Dental Federation and has served as the President of the Malaysian Dental Association. 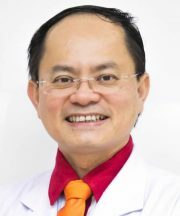 In addition, He is the Founding member of the Malaysian Oral Implant Association and the Malaysian ITI Association. 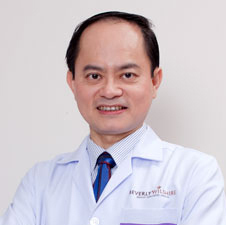 Furthermore, he is a pioneer in Laser Dentistry in Malaysia, Fellow of the World Clinical Laser Institute and a Certified Laser Trainer for Biolase. For instance, he is the Malaysian Country Representative for World Federation of Laser Dentistry. Certainly, he has conducted a number of Laser Training Courses. Dr How is also the FDI Speaker as well as Key Opinion Leader for Oral B, Sensodyne and Listerine. Notably, he also actively conducting clinical orthodontic training courses in the region. He conducts implant, orthodontics and laser training courses in many countries.